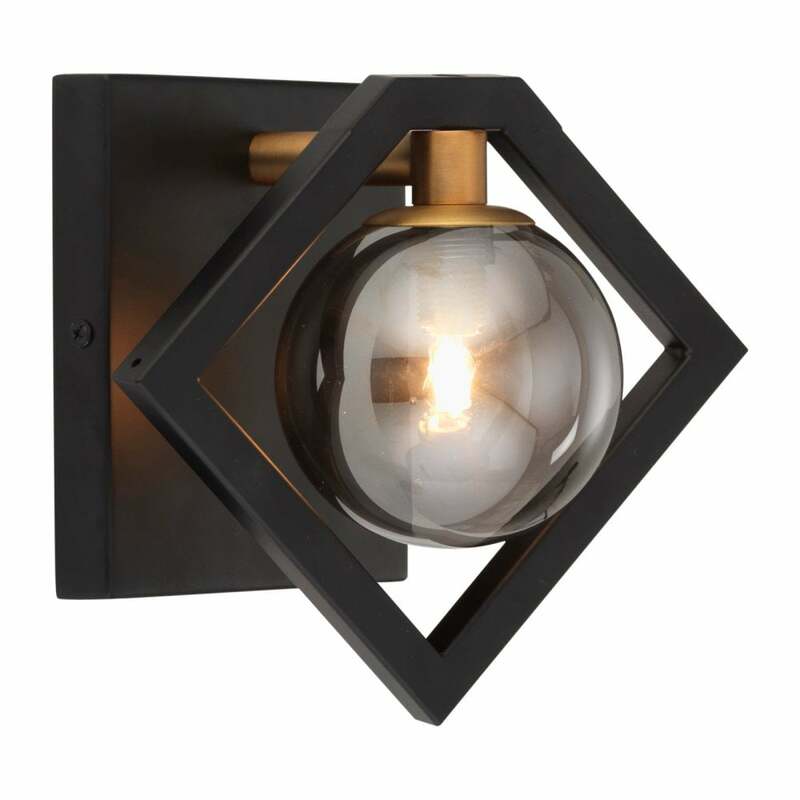 Oaks Lighting Tere single light wall fitting features a square back plate with diamond shaped frame in black finish, holding an antique gold lamp holder and globe shaped glass shade. The product code is 4284 WB BK. This unusual design will add a quirky touch to any room within your home, the combination of back and antique old adds a classic look. The Tere collection includes a 4 or 5 light pendant to match, which can be viewed on our website.